The lean-to design of this pent roof steel storage lets it fit into the smallest of areas, up against a fence, garage or any other space. Great for storing those items that need to be found quickly and often. Durable and strong HDG STEEL keeps belongings secure and includes natural light panels. 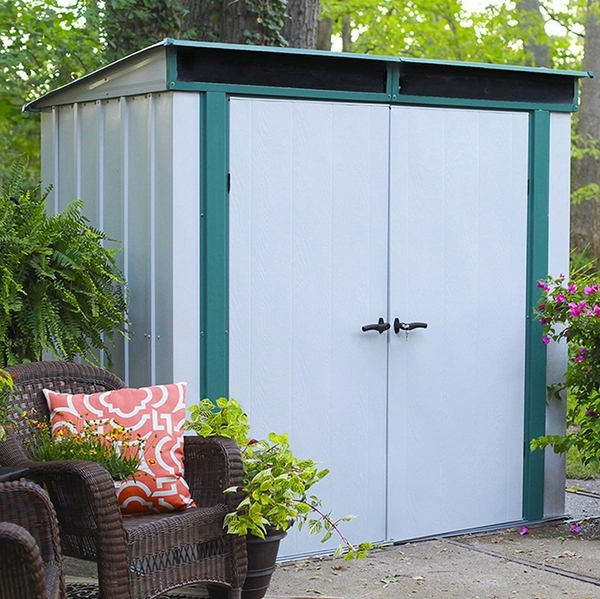 This cream shed with forest green trim is a handsome addition to any yard in need of extra storage, and provides 24.875 sq./ft of storage for your needs.